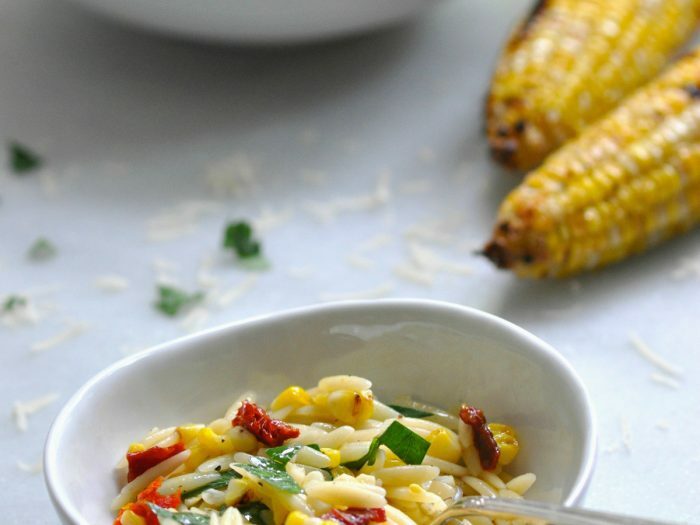 Orzo Salad with Corn and Lemon VinaigretteTender al dente orzo pasta with an addictive lemony vinaigrette makes for a scrumptious summer salad. 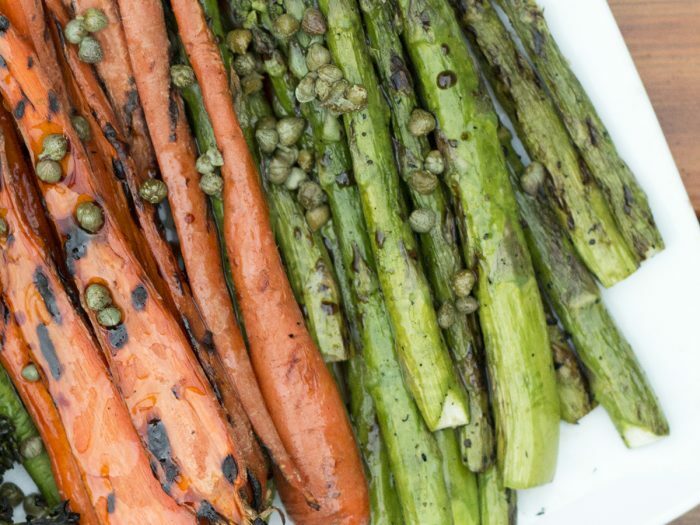 The perfect make ahead dish for picnics or potlucks. 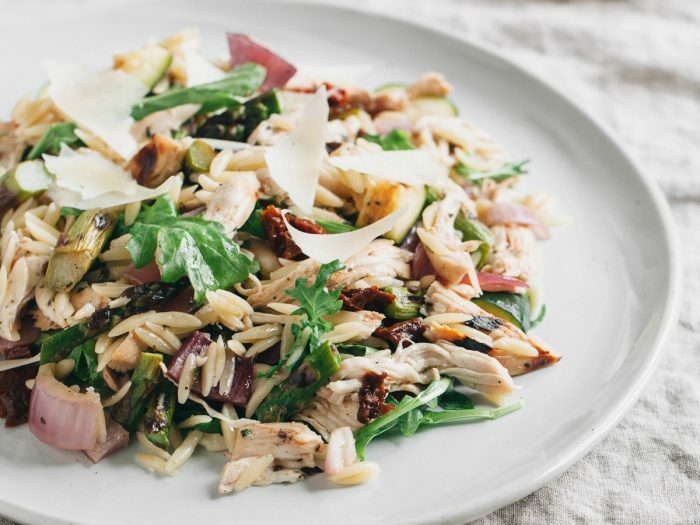 Italian-Style Grilled Veggies and OrzoWith basic pantry staples you can create a flavorful vegetable side dish on the grill or a perfect backyard orzo. 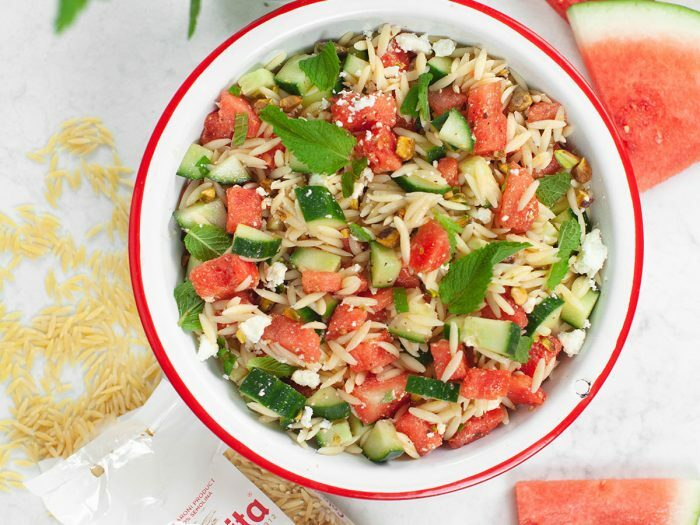 Take this to a barbecue or a summer picnic for a Italian vegetarian potluck dish.